The base 2013 Subaru Outback 2.5i with CVT and few other options is the best value if you use your car hard; it'll deliver good gas mileage and remarkable versatility in the mid-20s. 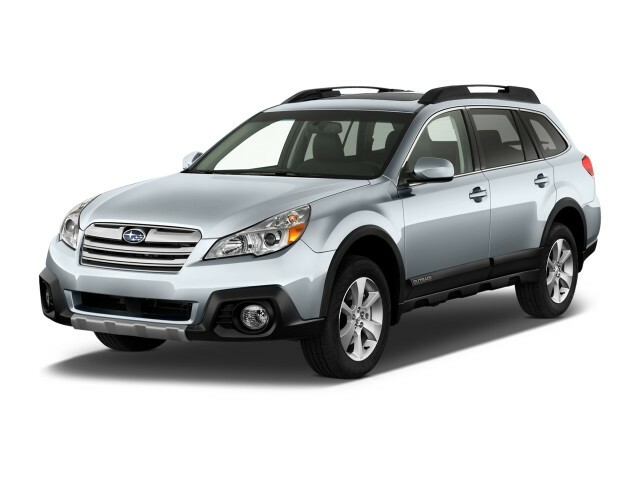 The 2013 Subaru Outback is practical above all: it's capable in all kinds of conditions, and has great interior space and standard all-wheel drive. 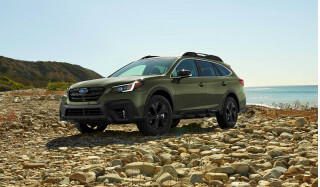 The Subaru Outback may not be brand new for 2013, but it has gained a few subtle improvements–an updated four-cylinder engine, available high-tech safety features, and a better-designed interior–that give it a little more traction against competitors like the Jeep Grand Cherokee, Toyota Venza, Volvo XC60, and Ford Edge. We see the Outback as the midpoint of the mid-size utility vehicle segment, exactly halfway between a true SUV and a car-based crossover. You Outback owners? 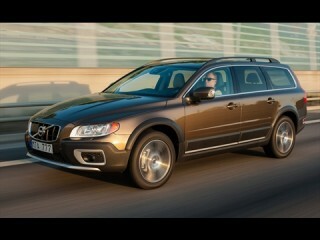 You probably see it in a class by itself, as one of the few wagons of its kind to come standard with all-wheel drive. Only those diehard Subaru fans will notice its mildly updated look at first pass. Three years ago, the Outback gained a chunkier look with more overt SUV references. A new grille and headlamps play up those reference points this year, but the profile's unchanged, and so is the interior, save for a layer of woodgrain on the dash, and some new interior fabrics. The big news this year is underhood, where a new flat four-cylinder boosts fuel efficiency. 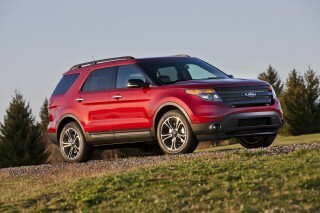 The new 2.5-liter engine has marginally better performance and higher fuel economy. It puts out 173 horsepower and 170 pound-feet of torque, with more torque at the low end of the range for better responsiveness. Subaru continues to offer a six-speed manual gearbox with that engine in all but the 2.5i Limited, though most buyers opt for the continuously variable transmission (CVT), which comes with paddle shifters behind the wheel to simulate manual mode when needed. Subaru's CVT is one of the better examples of the breed, unobtrusive under full-throttle acceleration but responsive enough to move the car smartly away from rest. Gas mileage is as high as 30 mpg highway, or 26 mpg combined. At the high end of the range, the Outback 3.6R model continues with an unchanged 256-hp, 3.6-liter flat six paired to a five-speed automatic transmission. This is a smooth and quiet combination, with better acceleration through its range. It may be more fun to drive, but the cost is significantly lower gas mileage--just 20 mpg combined. The Outback's relatively low curb weight and low center of gravity gives it more car-like handling than some crossovers, and a stiffer body structure translates into a firmer but better ride this year. Road manners are fine--the steering's not exceptional, and the tires are tuned for weather, not grip--if not to the level of the latest Ford Escape. The Outback really comes into its own off road. With 8.7 inches of ride height, it's uniquely suited to a variety of road surfaces, paved and unpaved. And it's easy enough to make great use of that capability with standard all-wheel drive--and with a roof-rack system with folding cross-bars, in which the rear bar can be moved back to carry longer items like ski and snowboard boxes, kayaks, and other outdoor gear. The Outback has good interior space for five adults, particularly in back, where the rear seats recline. There's no third-row option, though. The rear seats split and fold, turning the 34 cubic feet of storage space into more than 71 cubic feet when needed. For 2013, a new Brake Override system is added that will cut power to the transmission if brake and accelerator are depressed at the same time. And if you're concerned about such things, all Subaru Outbacks sold in the U.S. are built in Indiana. A new suite of safety features is available in the EyeSight driver-assistance system offered for the first time in the 2013 Outback and other Subarus. It includes adaptive cruise control, vehicle lane-departure warning, and pre-collision braking. These features use data from a front-facing stereo camera system, which it claims offers a wider detection angle than do radar-based systems. A similar system bows this year on the Lexus LS. The 2013 Subaru Outback 2.5i four-cylinder model comes in three trim levels--base, Premium, and Limited--while the six-cylinder 3.6R comes in base and Limited only. Standard features on all models include steering-wheel switches for audio and cruise control, a reclining rear seat with a 60/40 split seat back, automatic headlights, and the Hill Holder feature that sets the brakes when the car stops on steep slopes until the driver accelerates. The base car comes with an AM/FM/CD stereo with four speakers and an auxiliary input jack. This year, that base stereo adds a USB charging port, Bluetooth pairing for hands-free control, iPod control, and audio streaming. Premium 2.5i models add a 10-way power driver's seat, 17-inch alloy wheels, body-colored side mirrors, leather wrappings on the steering wheel and shifter, and a few other upgrades.An All-Weather Package and a Harman/Kardon stereo are optional. At the top of the line, the Outback Limited models add perforated leather upholstery, a four-way power adjustable passenger seat, dual-zone climate control (with new rear air-conditioning outlets this year), and an All-Weather Package with seat and mirror heaters, along with a de-icer for the windshield wipers. The Harman/Kardon stereo premium audio package includes nine speakers, a color 4.3-inch display, a 440-Watt amplifier, and standard satellite radio (with four months free). New for 2013 in Limited models is an Appearance Package that bundles keyless start with a two-position memory function for the power driver's seat. Limited models also get a new electroluminescent instrument cluster integrated with the 3.5-inch multi-information display screen that shows EyeSight functions if that driver-assistance feature is fitted. A voice-activated navigation system with a 7-inch LCD display is optional, as are a rear-vision camera for reversing, and real-time satellite traffic, among other features. A Power Moonroof Package integrates the rear-vision camera, and includes an auto-dimming rear-view mirror as well. Subaru styling's chief virtue: it looks like a Subaru. It was completely restyled a couple of years ago, and now more than ever, the Subaru Outback wears what the automaker says are "SUV details." Among them are bigger roof pillars, wider rear quarter and side windows, and larger front and rear wheel arches. It's a bit more exaggerated, and that makes the Outback look less like a station wagon and more like a crossover than ever. That might please some SUV intenders, but owners of the previous model may just sigh in acceptance. It's much the same for the 2013 model year, though a heftier grille is now paired with a wide rectangular opening under the front bumper and larger fog lights. The bumper and headlights are new too, but you'll still have to look twice to see the differences. Although the Outback remains a wagon version of the Legacy sedan, the plainer Legacy wagon is no longer offered, so the sum of all those "SUV details" adds up to a vehicle that looks just slightly like a steroidal cartoon of itself. You don't measure Subaru performance in a straight line, but in the way it balances on- and off-road capability. Subaru owners don't use a stopwatch to measure fuel economy. Their preferred tools? Calendars and tape measures. The Outback's chief virtues are its reputed longevity and its ability on a wide range of road surfaces, since its acceleration and roadholding are competitive, if not spectacular. The new 2.5-liter engine in the 2.5i model is the same size as last year's flat four, but it's an all-new design with marginally better performance and higher fuel economy. It puts out 173 horsepower and 170 pound-feet of torque, with more torque at the low end of the range for better responsiveness. Subaru continues to offer a six-speed manual gearbox with that engine in all but the 2.5i Limited, though most buyers opt for the continuously variable transmission (CVT), which comes with paddle shifters behind the wheel to simulate manual mode when needed. Subaru's CVT is one of the better examples of the breed, unobtrusive under full-throttle acceleration but responsive enough to move the car smartly away from rest. That new CVT boosts fuel economy substantially, and it's nowhere near as annoying as some CVTs from other carmakers. On a full-throttle takeoff, it revs the engine to its strongest power band--around 5500 rpm--quite quickly, but somehow manages to keep the engine from being as loud and intrusive as are other fours fitted with CVTs. Level highway cruising is accomplished with engine speeds of less than 2000 rpm, and for drivers who want more control, paddle shifters behind the steering wheel permit simulated "upshifts" and "downshifts" among six "ratios" for quicker power delivery or quieter running. The EPA pegs the new four at 24/30 mpg with the CVT, 21/28 mpg with the manual. At the high end of the range, the Outback 3.6R model continues with an unchanged 256-hp, 3.6-liter flat six paired to a five-speed automatic transmission. The six is a nicer driving experience; it's smooth, torquey, and quiet, and will move the Outback off the line in surprisingly quick fashion. You'll pay the penalty in shrunken fuel economy, with the combined rating falling from 26 mpg to 20 mpg. With lightweight vehicles and a low center of gravity due to their boxer engines, Subarus have always offered car-like handling and good roadholding for vehicles with all-wheel drive and as much ground clearance as they provide. For 2013, Subaru has stiffened the body structure, and re-tuned the steering and suspension to improve handling and agility. There's not much body roll, as promised, and the Outback feels more like a car than many crossovers--except something as nimble as a Ford Escape, that is. The Subaru's steering feel isn't the best we've experienced, but the fine roadholding makes up for it, though its tires are clearly optimized for weather, not outright grip. The Outback really comes into its own off road. 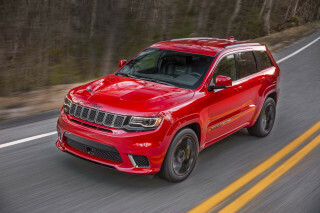 Its 8.7 inches of ground clearance beats every other rival, including the brawny Jeep Grand Cherokee, making it a deft and practical vehicle for everything from muddy country lanes to deep snow. As owners routinely prove, the stiff structure, long wheel travel, and electronic control systems can take the cars up slippery slopes and rutted trails that leave other crossovers spinning their wheels. A spacious interior with ample cargo space and flip-fold rear seats makes the Outback a mid-size station wagon in all but name. This latest Subaru Outback has grown much taller and wider (by about 2 inches) than the last version. But though its wheelbase is also up by nearly 3 inches, its overall length is nearly the same as the previous generation. As a result, the Outback provides good front and rear legroom. The Outback's front seats have good support, but could use a little more cushion under the legs. In back there are wide doors and tall openings for easy access, and good leg room. The rear seats can accommodate nearly any adult comfortably, although there is no third-row option. (The seven-passenger option is restricted to the aging Subaru Tribeca, which has never enjoyed anything near the sales success of the Outback.) Five adults can travel comfortably in the Outback, and six-footers will find the back seat comfortable even with the front seats pushed all the way back. The rear seats also recline, a feature becoming more common in crossovers. The rear seatback is split 60/40 and, of course, folds flat to extend the load bay. The wagon back provides an excellent cargo bin of more than 34 cubic feet, and all-weather floor mats are on the options list. Inside, plenty of cubbies, trays, and bins offer enough space for the many mobile devices, glasses cases, toll tickets, bills and change, and sodas that are now an inevitable part of car travel. It's even well-sorted on its roof, where the rail system has been designed to accommodate an enormous variety of third-party accessories--ski holders, kayak mounts, storage boxes, bike racks, and more. The crossbars pivot to lie along the rails when not in use, reducing aerodynamic drag, wind noise, and fuel consumption. Interior materials of earlier models weren't particularly luxurious, with scuffable hard plastics on high-contact points like the lower door panels and center console, but they reflected the Outback's utilitarian, built-to-be-used side. For 2013, the company provides new, more comfortable seat fabric--the old stuff looked like your grandmother's brocade curtains--and a new "light matte wood grain" trim to give the interior a bit more sophistication. Subaru build quality has historically been good, with all parts screwed together well and few rattles or other glitches. Engine noise isn't too obtrusive under most circumstances, though you'll be well aware of it on full acceleration. Subaru still hasn't tamed the wind noise around its door mirrors, but the latest Outback is acceptably refined for comfortable travel, if hardly church-quiet. 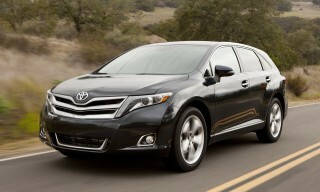 The NHTSA hasn't updated its ratings, but the IIHS calls the Outback a Top Safety Pick. The first and most important safety feature on the Subaru Outback may be its full-time all-wheel-drive system, one of the distinguishing features of the brand. It is backed up with stability and traction control systems, anti-lock brakes, and a hill-holder feature that keeps the car in place on slopes of 5 percent or more (the welcome return of a Subaru feature from the Eighties and Nineties). Those features are supplemented by six airbags, along with seatbelt pre-tensioners. Our only complaint is that the blockier styling of the latest Outback impedes rearward and rear three-quarter vision, although Subaru will sell you a navigation system that includes a good backup camera. This year, Subaru's partnership with Toyota begins to pay off in the form of new safety technology and options. The newest is a stereo camera system called EyeSight, which also bows in an upgraded form in the 2013 Lexus LS. In the Outback, the driver-assistance system is centered around those windshield-mounted cameras, which detect potential obstacles on the road ahead. The data is fed to a bundle of systems, including adaptive cruise control, vehicle lane-departure warning, and pre-collision braking. While it's largely carryover, though, the Outback's safety scores are in flux. The National Highway Traffic Safety Administration (NHTSA) only lists a four-star rollover rating for the wagon for the new model year, possibly because of the minor front-end changes and potential re-testing. In years past, the NHTSA has given the Outback an overall rating of four stars--good, but not the best in its class. The Insurance Institute for Highway Safety (IIHS), meanwhile, has tested the Outback in the new small overlap frontal category, and it earned an 'acceptable' score--still qualifying it as a Top Safety Pick+. All-wheel drive is standard, though the Outback misses out on some of the high-tech, high-cost features found on other crossovers. With a base price of about $24,000, reaching to about $32,000 for plushly equipped versions, the 2013 Subaru Outback has the basics covered, while it can't quite match some crossovers LCD for LCD on the latest features. All Outbacks have standard power windows, locks, and mirrors; tilt/telescoping steering; air conditioning; cruise control; an AM/FM/CD player with an auxiliary jack, Bluetooth and audio streaming, and iPod connectivity; steering-wheel audio controls; and a split-folding rear seat. The Premium model adds leather trim for the shifter and steering wheel; a 10-way power driver seat; 17-inch wheels; and body-color side mirrors. 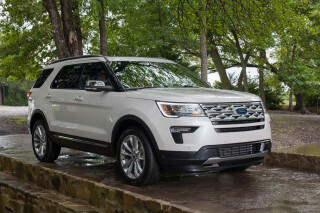 Among its options are an all-weather package and an excellent Harman/Kardon audio system with 440 watts of power, nine speakers, and a 4.3-inch display, as well as satellite radio and four months of free service. At the top of the line, the Outback Limited models add perforated leather upholstery; a four-way power adjustable passenger seat; dual-zone climate control (with new rear air-conditioning outlets this year); and an All-Weather Package with seat and mirror heaters, along with a de-icer for the windshield wipers. A voice-activated navigation system with a 7-inch LCD display is optional, as are a rearview camera for reversing, and real-time satellite traffic, among other features. A Power Moonroof Package integrates the rearview camera, and includes an auto-dimming rear-view mirror as well. The Outback's gets special notice. Its roof-rack system puts all that capability to good use--it has folding crossbars and removable pieces for toting kayaks, skis, and roof boxes. 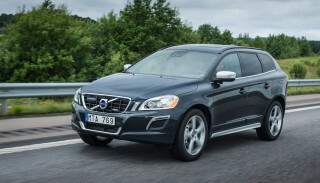 Four-cylinder, CVT-equipped Outbacks earn good EPA ratings; the flat six won't win any green badges of honor. With a relatively low curb weight and a redesigned four-cylinder engine, the latest Subaru Outback earns better fuel economy in its base version. You'll want the continuously variable transmission to get the highest EPA ratings. In that form, the Outback is scored at 24 miles per gallon city, 30 miles per gallon highway, with a combined rating of 26 mpg. That's an increase of 2 mpg combined over the prior version. Anecdotally, we've found it easy to get near the high end of Subaru's fuel economy numbers, too. Sudden unwanted forceful acceleration (suspect auto cruise control got engaged via Eyesight malfunction), collision avoidance failed to engage. Bought this car in 2012 due to the newly introduced “Eye Sight Technology.” The sales man’s eyes and voice were beaming in doing a high way demo. How the new technology allowed a driver to track the front car during cruising at a “safe” distance, and how the new technology allowed the car to brake before collision. Bought the car even though the feature costed $4k more, the total price tag being almost $35K. the car accelerated like a “mad bull cow” and hit hard on the garage and brick wall, causing extensive damages. Air bags deployed, I was senseless, both driver and passenger hurt, car is declared total. It happened very quickly because of the tremendous acceleration. Did not had time to think about engaging hand break, changing the gear to neutral, etc. It was very hot at about 4:15 pm, air condition had been running at full force all the while during the short 15 minute drive. The driveway has a 10 ft slab with upward slope, the car stopped with front wheels at the end of the first slab. The remaining driveway is about 30 ft on a slight downward slope. I keep the car totally standstill while the garage is opening. The car was at a slight angle facing slightly toward the driver side corner of the garage. This time, the car started moving fast when I just raised my finger to hit the home link button. So the garage door is still completely closed. The car is still at an angle. In no way I would press the gas paddle under these circumstances. on a short driveway. The impact was at least at 25 miles per hour. Is it a killing machine Subaru made? Thanks God, I was not driving on a highway. Thanks God, there was no kid playing on the driveway. Thanks God, our house took the blunt impact and saved our lives before the car could accelerate to 50/60 miles per hour. This car is maintained in good condition and never have been in accident before. avoidance work in many other situation, but this time, it did not work. This is a serious public safety issue happening a lot with Subaru. Remembering the sales man’s demo, his proud eyes, and now we regret that we bought the car. How beguiled we got at that time! Great ride, great fuel economy and interior space. 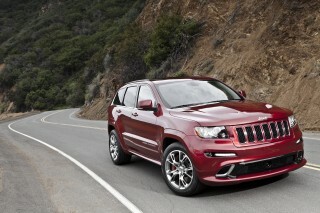 Looked at the CR-V and RAV-4 and this was a hands down no brainer to buy. Bang for the buck!!! Looking for a sporty, well balanced AWD vehicle without the blind spots of most SUVs. This is it. Totally bomb-proof mechanics and the best AWD around. Totally sold on the Outback. We waited for the 2013 Subaru Outback to get the EyeSight package which gave us adaptive cruise control and sudden stop assistance. These two features alone made it a much more enjoyable ride on long trips... We waited for the 2013 Subaru Outback to get the EyeSight package which gave us adaptive cruise control and sudden stop assistance. These two features alone made it a much more enjoyable ride on long trips that we were used to. In addition to the safety features, it just seems like a robust vehicle. It is not the quietest out there, but it's pretty quiet and feels like a much more expensive vehicle. 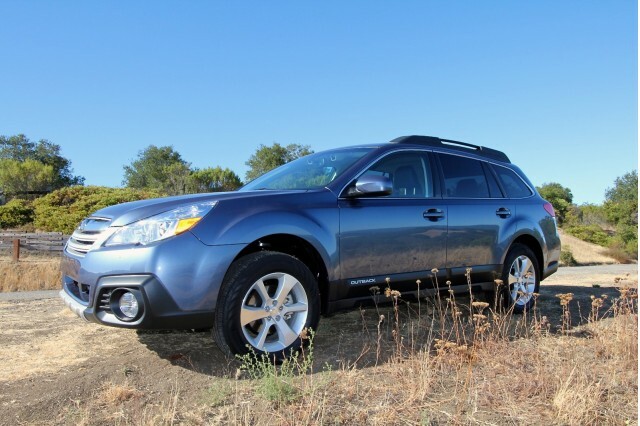 The performance of the outback with the CVT is excellent for its fuel economy. We bought the 2.5l Limited version with CVT transmission and it has plenty of pep even loaded with people and luggage. I drove the 3.6l version and while that does have more of a sporty feel, I feel like the 2.5 is probably a better everyday and for trips. It also take regular gas so it's a very frugal family car.